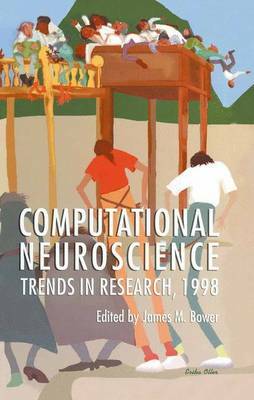 This volume includes papers presented at the Sixth Annual Computational Neurosci- ence meeting (CNS*97) held in Big Sky, Montana, July 6-10, 1997. This collection includes 103 of the 196 papers presented at the meeting. Acceptance for meeting presentation was based on the peer review of preliminary papers originally submitted in January of 1997. The papers in this volume represent final versions of this work submitted in January of 1998. Taken together they provide a cross section of computational neuroscience and represent well the continued vitality and growth of this field. The meeting in Montana was unusual in several respects. First, to our knowledge it was the first international scientific meeting with opening ceremonies on horseback. Second, after five days of rigorous scientific discussion and debate, meeting participants were able to resolve all remaining conflicts in barrel race competitions. Otherwise the magnificence of Montana and the Big Sky Ski Resort assured that the meeting will not soon be forgotten. Scientifically, this volume once again represents the remarkable breadth of subjects that can be approached with computational tools. This volume and the continuing CNS meet- ings make it clear that there is almost no subject or area of modem neuroscience research that is not appropriate for computational studies.